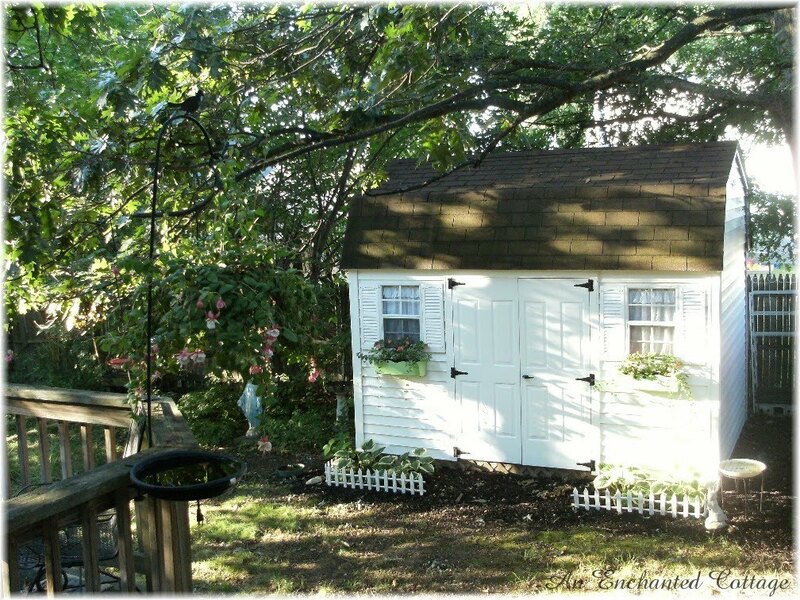 An Enchanted Cottage: Are you an early bird? Or a night owl? I am an early bird & have been for years. However, I am in bed by 8p.m. LOL!! Oh my....what a difference a day makes!! The night image almost looks like something from a Stephen King novel. Great question...Yes, I like Marilyn, am an early bird. I usually wake up at 5 something and leave for school by 6:45. But then I can barely stay awake for the nightly news! Hi, You have a pretty shed. I'm definitely a morning person. Have a good weekend. night owl, but sometimes morning!! I love when its cool in the mornings, and I love the shadows from the sun. Very pretty…I am hosting a CSN Giveaway on my blog. I would love for you to stop by. I'd be drinking my coffee and singing and talking to the Lord on that patio lookin' at that awesome shed. I'm an early bird-I love the Emily Dickinson quote too! I am both an Early bird, on my days off, I am up before 6:30 am. And night owl because I have worked night shift for 28 years!! Since I normally get only about 5-6 hours of sleep a day and have so for over 28 years, I have the best of both worlds!! I am definitely a night owl but I wish I could be an early bird. I think the morning light is so beautiful. If only I could get my act together a bit earlier! 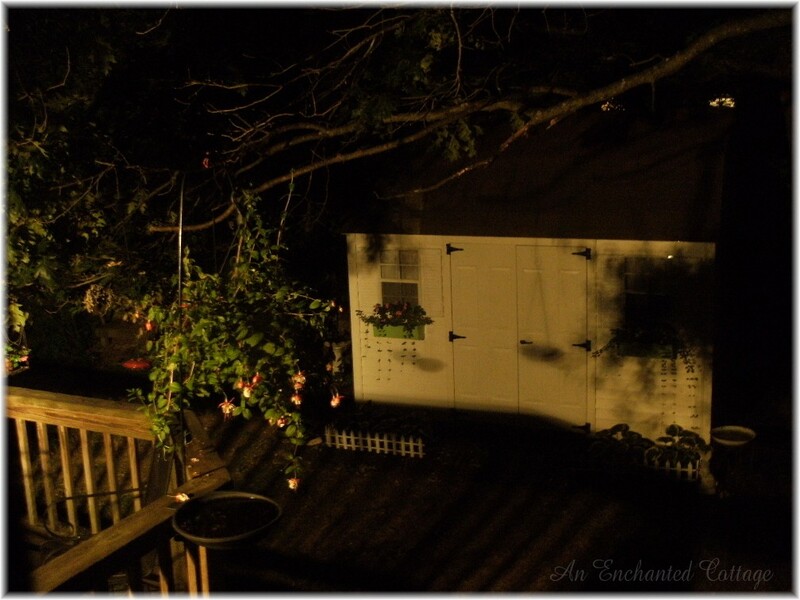 I'm an early bird but I would try very hard to stay up late enough to watch the shadows across your dear little shed! Love the Emily Dickinson quote. How lovely! I too am a night owl....I love going out at night before I go bed to say goodnight to the moon. I do envy the early birds that get to wake up and hear the birds singing and saying good morning. I am a night owl and so is my husband. I finally have time to myself once I put my son to bed so I like to stay up and do what I want! I was just looking through some of your recent posts and I have to tell you that you are a girl after my own heart 'cause you are compassionate to animals. I like how you said that squirrel needed to get cool in the soil more than you needed your flowers and how you'd do the same thing. I agree!